This was the best game of all time. There's no football manager game on the console which is well over due. Comon guys pull your finger out there's over 1000 followers on twitter. There's more forums and petitions than any other game out there to bring it back. This game will sell millions even tho it's9 years since the last one. You've still got followers for this game so don't let that go by leaving it too long. Realistically you only need to update the 2007 version and will still be amazing. Stop focusing on car games and bring back the best game you ever made. I've just created an account just to do this because its about time you MADE A CHANGE MAKE THE GAME. Millions is a huge exaggeration. Codemasters are focusing on racing games now, so if you want a good management game get Football Manager instead. Platy it's actually not an exaggeration. If you.look it up on Internet there's so many people who want this game. There's more petitions on the Internet for this game than any other out there. And that's there problem focusing on car games that are no good I own a ps4 so only car game I will buy is gran turismo. Also football manager is a Pc game not for consoles. I know ps4 and xbox one fans will die for.this game on console. I take it platy your not into Lma manager or manager games. That's OK not everyone is but there's so many people who want this to happen. So with that you must agree even if you didn't like it they should develop a new version just for all.those fans that's waited soo long. If you don't like car games that are no good why do you buy Gran Turismo? Codemasters aren't going to do it because 12 people on the internet want it back, so you're wasting your time. Like I said look on the Internet twitter got over 1000 followers. There's at least 10 forums created in last 10 days on here alone in general discussions. Also like I said if you had been listening there's more petitions for this game than any other. Look I take it your a car bum. 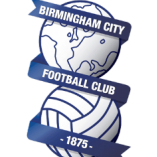 Well I'm a football bum and codemasters made the best manager game to be made. And lots of fans want it re made. So codemasters will listen if people keep posting. So I take it u don't like football so why post on here and argue when your not even interested. Save your posts for your car games. That's certainly a lot less than the millions of people you were spouting earlier. I love football. But, and here's the massive point you're missing, Codemasters aren't making games other than racing games any longer. They were pretty much out of business recently, they've completely restructured so the people who used to make the LMA games no longer work there. They're completely focused on racing games. They will never make the LMA games again. Unless the people who made the LMA games (as in the coders, producers, etc) moved on to their own company and bought the naming rights for LMA Manager then you won't be getting it. But as I said, keep wasting your time telling a company that no longer has an interest or the ability to make a game your want to make the game rather than do something productive with your life. Well if he's stating facts and loves manager games why not get behind the people who are trying to get this great game back. Instead off putting it down. And there is lots off people who want this game re made. Yes I understand it's a long shot but if people enjoy manager games and all those people that loved Lma manager. Surely you should be getting behind bringing it back not trying to argue about it. I'm just telling you how it is. It's not going to happen, why not look to an indie game developer to make something for consoles in the style of LMA Manager? Cos Codemasters ain't doing it. I'm sorry but if I need to.do.somthing productive in my life. Then what is to be said about you arguing with someone that is asking to re make this game. And yes OK millions arnt putting comments bit off an over exaggeration but there's is 10 off thousands that have commented. But you kno as much as me if came out on console it would sell millions. Because hasn't been that kind off game in 9 years. I'm not trying to argue with you just want to put my point across to codemasters. You say don't have the capability. But you also know as much as me they will still have every last detail to the previous games. They will be on file somewhere they won't have been deleted just because went through a difficult stage. Theres millions off people wanting this game to be re released. Millions is a huge exaggeration. Platy it's actually not an exaggeration. there's is 10 off thousands that have commented. There's at least 10 forums created in last 10 days on here alone in general discussions. Best thread of the week. 1000 to Millions, back down to 10's of thousands. 3 threads, 2 of which are yours, 1 of which has 1 reply, from you. The thread that isn't yours has 1 reply, from you. And you had to dig that thread up because it wasn't on the front page, or the 2nd, or the 3rd. Skidy mcrash I have two on here because didn't kno were to put it. And I never said thousands I said there's a twitter feed with over thousand adds to Lma thred. Also I didn't have to dig no thred up there's actualy 4 on my first page on general discussions. So mines obvs different to yours. And I did also say it's a long shot and platy has some points. but if peopled liked the game and wanted a remake which there's lots off people. There not going to when there's people who keep saying wasting time and not going to happen. Like you guys are. If you liked the game comment and get behind it, if you didn't then don't because that's not going to even make codemasters think yea let's make it because it's a long shot anyways. especially when your making negative comments. I agree so did I. I used to play them a lot although these days if I'm ever in a football manager mood I tend to play Football manager or just enjoy a bit of Fifa. Although tbh I don't tend to play much Football manager these days. Most of my time these days I spend playing various RPG's but I tend to find them more entertaining these days. 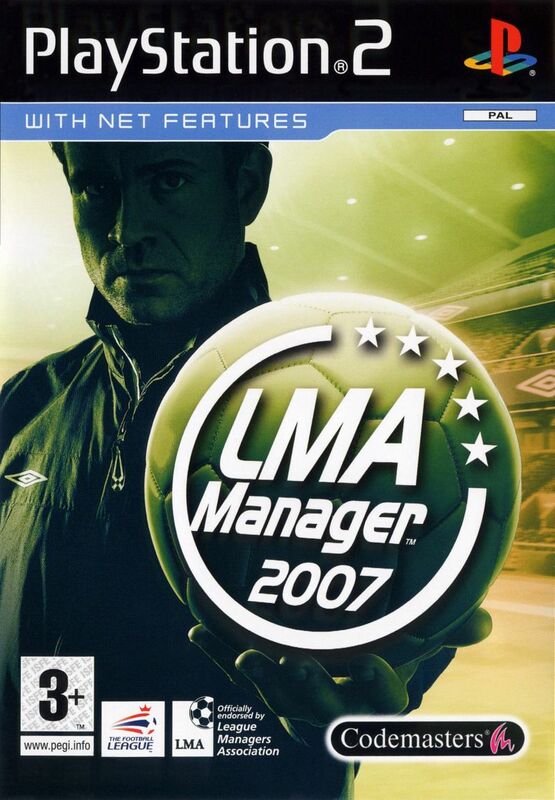 LMA Manager 2007 is still my most played sports game. Doing 2 player is just epic. Me and my mate still have our season going. Currently got Forest Green Rovers from Conference into Championship. Premiership, I'm coming for you! Been waiting for a new LMA for far too long. Best managing game. Would love to see another. LMA Manager 4 life (screw football manager)!!! 8 posts since I last posted in this thread, 9 months ago. Mostly from accounts with 1 post. You are not atypical. Our resident Korean spammer makes more posts than that every day. Codemasters stopped making the game for a reason, it wasn't selling enough copies to be profitable. They said at the time that they were going to concentrate on racing games from now on.